Longview, WA Graphic Design - Graticle, Inc.
We’re an established graphic & print design business in Longview, Washington. 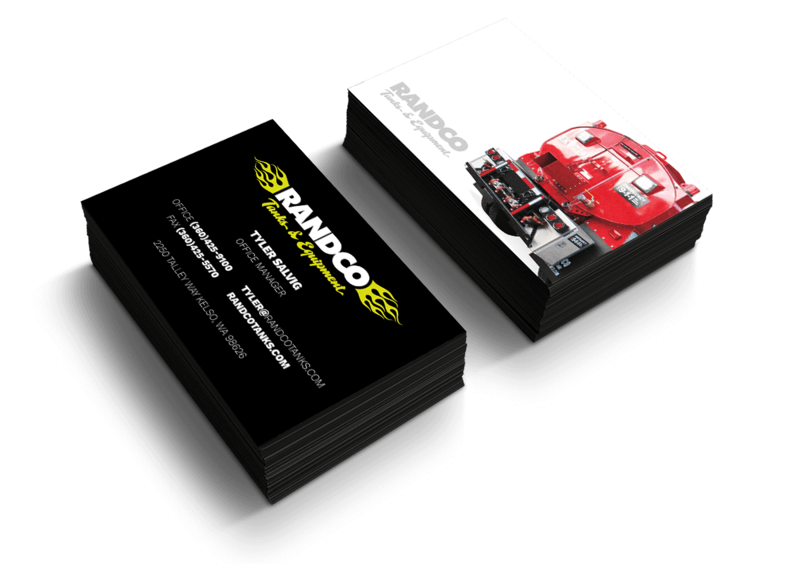 We designed and printed these business cards for Randco Tanks located in Kelso, Washington. We've been working with Randco Tanks for the past year supplying them with both graphic design and website design projects. For this project specifically, Randco Tanks wanted a refreshed design their current business card to reflect their website we created for them. We not only designed these cards, but we also printed and shipped them directly to Randco's doorstep. Tyler Salvig, Office Manager at Randco Tanks, Inc.